Boxfish, Cofferfish, Cowfish and Trunkfish are highly sought after and highly poisonous marine aquarium fish that are not for the novice or beginning fish-handler. Related to the Pufferfish, when these fish are significantly disturbed in the aquarium their poisonous toxins can circulate throughout the tank and wipe out an entire community. These fish are all “bony” fish with plate-like scales that fuse together to make a box-like carapace. Juveniles begin life as rounder fish and develop the solid box shape as adults. 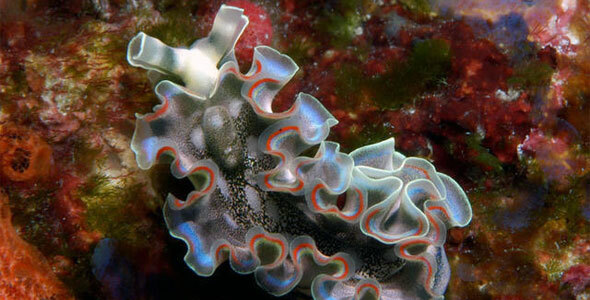 They are a slow moving fish, but because of their ability to secrete toxins are rarely at risk of being eaten. Boxfish – Boxfish are easily recognizable as the square, puffy fish found in the ocean. 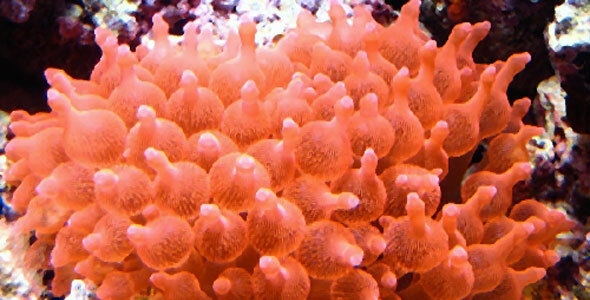 The most common aquarium version is yellow with brown spots. Cowfish – Though similar to the Boxfish in shape and size, the Cowfish has one notable distinction: a pair of “horns” that jut out from above the eyes. 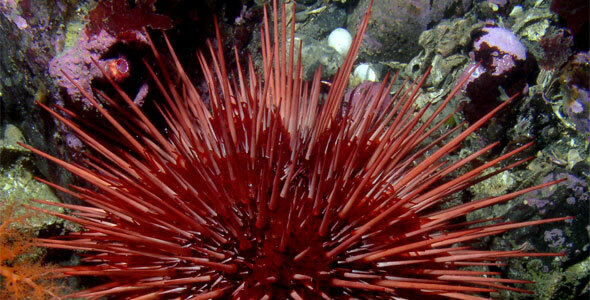 These fish also have two spines that protrude out from the back. It is highly recommended that if you choose to include any of these fish in your aquarium, that you make them either the only fish or put them in an aquarium with a small community of peaceful fish that will not stress the Boxfish out. Remember, a stressed out Boxfish can kill an entire aquarium, including itself. Boxfish need tanks of at least 75 gallons or more depending on their size. They prefer water between 72-78˚F with a pH of 8.1-8.4. If you find that your Boxfish has died, it is imperative that you remove the body from the tank as quickly as possible. A dead Boxfish continues to release toxins, which will wipe out your entire aquarium. Boxfish are incredibly picky eaters and it is important that you meet their nutritional needs and meal preferences as a dead Boxfish can kill an entire aquarium. When first introducing your fish to its new home, it is important that you feed it fresh shrimp. Boxfish are omnivores, but they require foods that sink to the bottom of the tank. Do not feed foods that float! 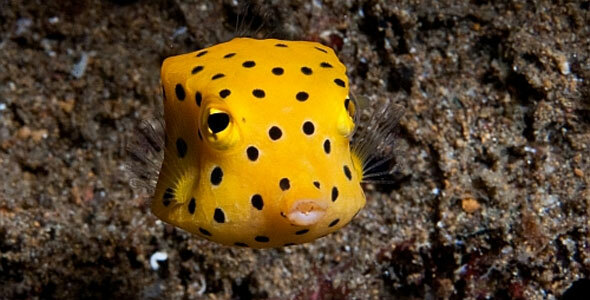 If your Boxfish is required to eat floating foods, they may gulp air that will affect their balance and buoyancy. In addition, these are slow eating fish and cannot be kept with other fish that will steal food as they will not get enough to eat. Feed weed sheets or algae wafers to meet their vegetation requirements and foods such as shrimp, crab meat, fish meat or clam meat for their protein requirements.